What Is a Booster for a House Air Conditioner? The booster is an important component, because your air conditioner will not run without it. 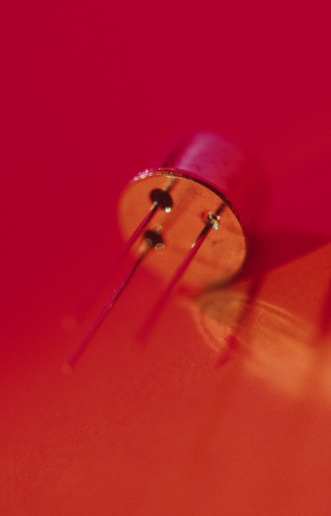 Simply put, the booster is a capacitor; you might hear it called a hard start capacitor. It gives the compressor motor a boost when it's trying to start. In some residential air conditioners, the booster is built into the compressor startup circuitry. 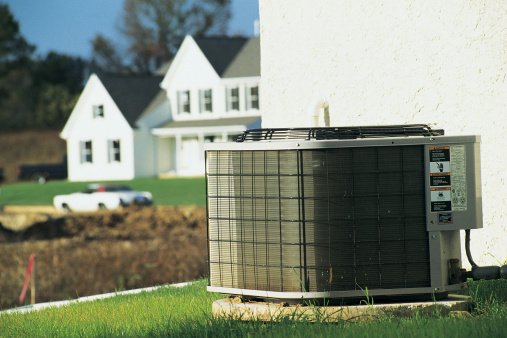 Homeowners who have air conditioners without boosters often add one later to assist an aging compressor. Your air conditioner's booster can extend the life of the unit. Capacitors are electrical components used to temporarily store and discharge an electrical charge. Two types of capacitors are used in home air conditioners. The first is the run type used to keep the compressor running after it starts. The second is the start type, also called a booster. Your unit may use one or both types. Capacitors are rated by capacitance and voltage. Capacitance is measured in microfarads and tells you how much charge the capacitor can hold. The voltage rating tells you how much supply voltage the capacitor is designed for. If the supply voltage is too high, it can cause early failure. The compressor motor is responsible for the largest draw of current, especially when starting. It requires a large amount of power to get it running. A booster temporarily provides the extra voltage required to start the compressor. The increase in voltage is about two times the average system voltage. Once the compressor has started, the booster capacitor will be dropped from the circuit. Some signs of a failing start booster include a compressor that won't start, one that starts intermittently or one that trips the breaker when the compressor tries to start. A humming sound is another indication of imminent failure. Or you might see that the exterior fan starts but the compressor will not. Visual signs of failure are leaking fluid or a noticeable swelling or bulge in the capacitor. Boosters reduce the time required to start your compressor, minimizing the heat from high current. This reduced current draw lowers operating cost, places less strain on the unit and may eliminate light flickering in your home. All of these features can reduce the wear and tear on your compressor, possibly extending its working life. Randall Brooks is an entrepreneur that personally manages his portfolio. He has more than 10 years experience in major rehabilitation projects and is an expert in various areas of home improvement. His writing has been featured in the Virginia American Waterworks magazine "Tap Into Virginia." Brooks retired as a U. S. Naval Engineer after serving 21 years and has visited more than 25 countries. What Is an Air Conditioner Hard Start? What Does an HVAC Capacitor Do?